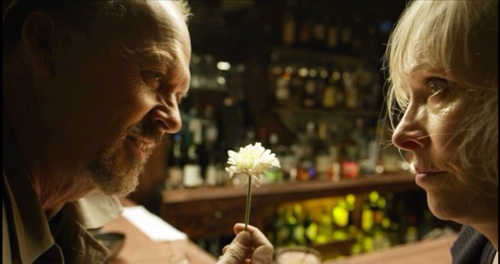 The film feels a little odd—“quirky” is the official term—but its blend of comedy and drama is constructed along familiar lines. The major characters have goals. 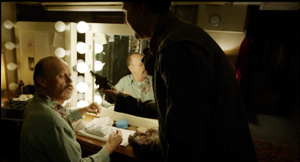 Riggan wants to prove he can do something valuable, while paying homage to Raymond Carver, who encouraged him when he was starting out on the stage. Riggan is also disturbed by his failures as a father and husband; mounting this play about love would seem to be an act of penance. The protagonist’s search for authentic success and psychological stability might remind you of 8 ½ and All That Jazz, which also endow their protagonists with flamboyant fantasy lives. 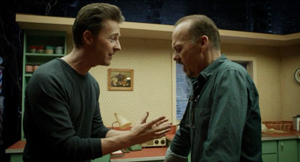 The nagging voice of Birdman supports another kind of structure, a thematic one pitting East Coast and West Coast values. The material is traditional, being given sharp expression in The Band Wagon. The opposition goes back at least to Twentieth Century (1934, a Hollywood satire on Broadway pretensions) and Merton of the Movies (1922, a Broadway satire on Hollywood vulgarity). Of course the two artforms feed off one another. 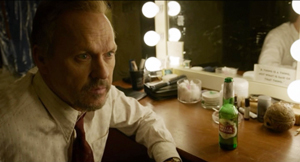 Twentieth Century started as a play, and Merton was made into a movie. The Producers began as a movie mocking Broadway, it became a hit Broadway musical, and the musical was made into another movie. Despite the difficulties, in the 1940s, some American directors seemed to have welcomed longer takes. The new interest probably owed something to new technology, such as the crab dolly’s ability to edge the camera through narrow spaces and turn in many directions. With complex camera movements easier, the takes could become longer. At a time when most films averaged eight to ten seconds per shot,Otto Preminger could make Daisy Kenyon (17 seconds), Centennial Summer (18 seconds), Laura (average 21 seconds), and Fallen Angel (33 seconds). There were as well Billy Wilder with Double Indemnity (14 seconds) and A Foreign Affair (16 seconds), Anthony Mann with Strange Impersonation (17 seconds) , and John Farrow with The Big Clock (20 seconds). This isn’t to mention the big long-take films of the period from The Lady in the Lake to Rope and Under Capricorn. The opening of Ride the Pink Horse contains a remarkable long-take tracking shot, and one shot in Welles’ Macbeth consumes a full camera reel. The idea that a camera movement can recapitulate the pattern of analytical editing was floated by André Bazin and developed in detail by John Belton, “Under Capricorn: Montage Entranced by Mise-en-scène,” in his Cinema Stylists (Scarecrow, 1983), 39-58. 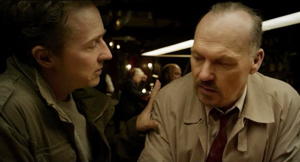 For more on the long take, see our entry “Stretching the shot.” The Christine Vachon quotation is linked there, as is De Palma’s sense of competing with Scorsese. The first essay in my Poetics of Cinema discusses trends in long-take shooting and camera movement in the 1940s. See as well Herb A. Lightman, “The Fluid Camera,” American Cinematographer 27, 3 (March 1946), 82, 102-103, and “‘Fluid’ Camera Gives Dramatic Emphasis to Cinematography,” American Cinematographer 34, 2 (February 1953), 63, 76-77. On Dreyer’s camera movements in Vampyr, see my book The Films of Carl Theodor Dreyer. I discuss Angelopoulos, Hou, and long-take staging generally in Figures Traced in Light: On Cinematic Staging. On this site, I discuss Hou’s staging practices here and here. 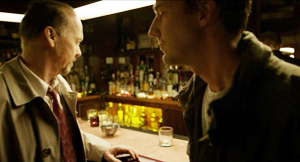 And for discussions of intensified continuity style, see The Way Hollywood Tells It. Another guest blog this week, this time from Jeff Smith, our colleague in the department here at UW–Madison. Jeff is one of America’s experts on movie music and sound technology. He contributed an entry on Atmos last year. He has written many articles on film sound, along with two books: The Sounds of Commerce and Film Criticism, the Cold War, and the Blacklist: Reading the Hollywood Reds. 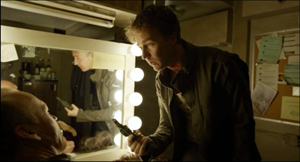 He’s also our collaborator on the eleventh edition of Film Art: An Introduction. 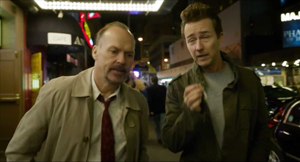 ‘Tis the season for Oscar buzz, and the media glut of award prognostications is already upon us. Most of the attention will go to the above-the-line talent who’ve received nominations (actors, directors, and screenwriters). The craft categories tend to get much less scrutiny, but the work of cinematographers, editors, and composers plays an equally important role in making their films award-worthy. Today I offer some observations about this year’s nominees in the music categories: Best Original Score and Best Original Song. By using the nominees as examples, I hope to illuminate some of the ways that music continues to contribute to cinema’s narrative functions and its emotional impact on viewers. I’ll also offer my predictions for who will win at the end of each section. Even before this year’s nominees were announced, one of 2014’s most distinctive and innovative film scores was declared ineligible by the Academy. 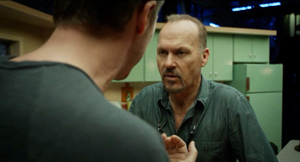 Antonio Sanchez’s driving percussion score for Birdman was disqualified under Rule 15, which states that scores “diluted by the use of tracked themes or other pre-existing music, diminished in impact by the predominant use of songs, or assembled from the music of more than one composer shall not be eligible.” Apparently, in the view of the Academy’s music branch, Birdman’s use of substantial excerpts of concert music by Mahler, Tchaikovsky, Ravel, and John Adams weakened the impact of Sanchez’s score. That explanation, though, probably doesn’t pass the eyeball (or eardrum) test of anyone who has seen Alejandro González Iñárritu’s film. 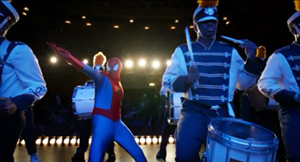 Sanchez’s drum work adds verve and energy to several of the director’s elaborately choreographed (and seamlessly stitched together) long takes. 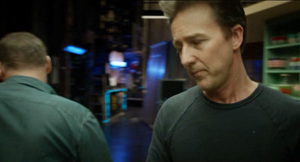 Trent Reznor and Atticus Ross’s electronic score for Gone Girl was also a notable snub, especially since their bold, pathfinding music for The Social Network took home the top prize just four years ago. The fact that both of these scores failed to secure nominations may be a sign that the Academy’s music branch is returning to the verities of good old-fashioned melody and harmony as the basic tools in the composer’s kit. That being said, the absence of Sanchez, Reznor, and Ross from the list of nominees doesn’t mean that the remaining scores are dull or unadventurous. Quite the contrary. Several of them push film composition in new and exciting directions. Their scores fulfill traditional functions but employ innovative scoring techniques and orchestrations. Take, for instance, Gary Yershon’s score for Mike Leigh’s biopic, Mr. Turner. Bypassing the conventions of orchestral writing for film, Yershon composed for a chamber-sized ensemble. Some cues combine a saxophone quartet with a string quintet, a musical choice that seems deliberately anachronistic. (As Yerson himself says in the soundtrack’s liner notes, Adolph Saxe’s invention wasn’t even patented until 1846, just a few years before Turner’s death.) Other cues add flute, clarinet, harp, tuba, or timpani to the mix. But these embellishments simply add color to the basic sound of Yershon’s twin string and saxophone ensembles. Yershon says he was attracted to the saxophone due to its ability to glissando – that is, bend pitch from one note to another. Yershon certainly exploits this element of the instrument’s sound by building his melodies from long sustained notes that slowly take on serpentine shapes. Saxophone glissandi have an almost iconic function in the idioms of jazz and pop music . (Think of the opening phrase of Wham’s “Careless Whisper.”) In this case, though, the technique gives Yershon’s score a minimalist, modernist edge. Yershon’s inclusion of a saxophone quartet departs from two norms: the period music of Turner’s time and the symphonic orchestrations that have characterized biopics for decades. The saxophone was never a major component of the Hollywood sound crafted during the studio era. 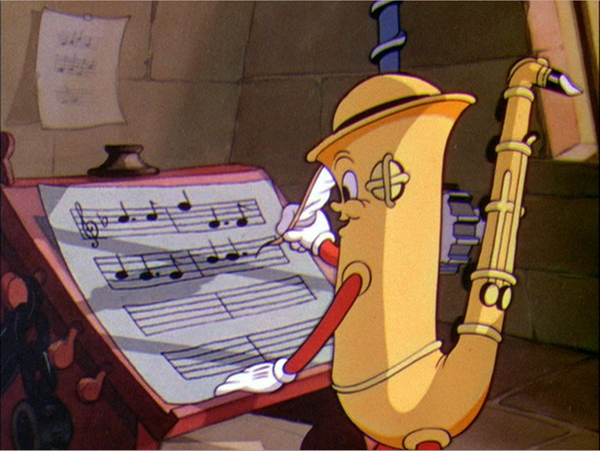 Composers like Max Steiner and Victor Young occasionally included saxophones in their arrangements of music played onscreen by dance bands, but for the most part, their wind arrangements were for some combination of flutes, oboe, English horn, clarinets, and bassoons. Yershon’s use of contemporary instruments may not in itself suggest those historical parallels. Indeed, most viewers probably have no idea when the saxophone was invented. But it certainly invites us to think about Leigh and Yershon’s reasons for opting for such a modern sound. And with its smaller instrumental forces, Yershon’s score resists some of the sweeping emotionalism that is found in other examples of the genre. 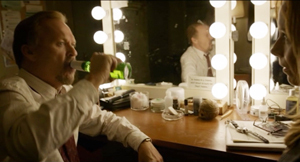 Hans Zimmer’s nomination for Interstellar is the tenth of his long and distinguished career. With all apologies to John Williams, Zimmer is arguably Hollywood’s leading film composer and his work is emblematic of a larger industry turn toward emphasizing musical tone and texture rather than big memorable themes. Zimmer’s score for Interstellar is no exception to this rule. In this case, though, much of the tone and texture is provided by the four-manual Harrison & Harrison pipe organ found in London’s Temple Church. Director Christopher Nolan says that he liked the sound of the church organ as something that added an element of religiosity to Interstellar. But the organ contributes other things as well. For one thing, the organ’s booming bass register adds mass and heft not only to the music, but also to the astronomical bodies shown onscreen. The sheer size of these lower frequencies enhances the sense of scale in Nolan’s imagery. Thanks to the organ’s huge pitch range, the instrument’s upper register provides the quieter, swirling arpeggios needed to suggest the story’s filial bonds between father and daughter. At the same time, the instrument’s big, fat bottom end adds the musical bombast needed to convey the film’s epic visions of distant planets, wormholes, and alternate dimensions. More important, despite the church organ’s strong association with sacred and liturgical music, Zimmer’s score never sounds like a Bach toccata. Rather, due to its repetitive, but intricate arpeggiations and simple, but affecting harmonic structures, Interstellar’s music has the kind of trippy, drone-ish, psychedelic feel that suggests both Terry Riley and Iron Butterfly. Zimmer’s score does not contain anything that is an obvious quote from the music of Stanley Kubrick’s “thinking man’s” sci-fi classic, 2001: A Space Odyssey. Yet, in its own way, Zimmer’s music recalls the period where such films were being produced, indeed the very kind of film that Nolan self-consciously tried to recreate. 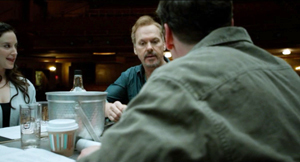 In developing the score for Interstellar, Nolan and Zimmer also departed from the norms for director-composer collaborations. Most composers begin their work at a fairly late stage in the filmmaking process. In some cases, they may work from a completed script. 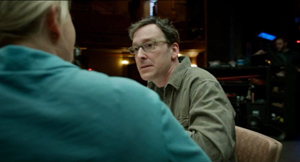 In most cases, though, a composer starts with a rough cut of the film, making his or her contribution felt only during post-production. 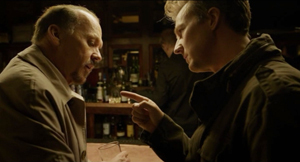 When Nolan began shooting, he frequently listened to Zimmer’s simple piano piece, which functioned as a kind of “emotional anchor” for the film. Eventually, Zimmer returned to the studio and created the huge musical canvas that captures Interstellar’s heady exploration of space and time. Underneath it all, though, is the humble melody Zimmer wrote prior to production, the modest edifice upon which the rest of the score is built. Like Zimmer, Alexandre Desplat has several previous nominations to his credit, including those for the scores of Best Picture winners The King’s Speech and Argo. Unlike Zimmer, though, Desplat has yet to win. Among Hollywood’s current A-list composers, Desplat has shown extraordinary versatility. He’s at home writing for foreign art films, American indies, animation, and studio genre pictures. Desplat’s score for Wes Anderson’s The Grand Budapest Hotel is the third he has done for the director, following earlier collaborations on The Fantastic Mr. Fox and Moonrise Kingdom. 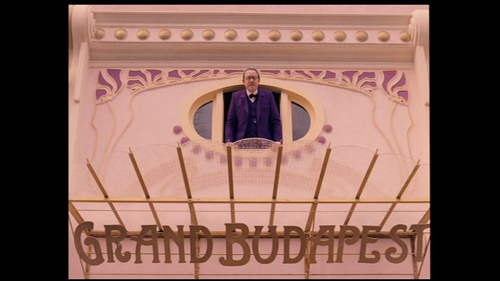 Here again, Desplat’s score for The Grand Budapest Hotel departs from established norms of Hollywood orchestration. Although he uses a slightly smaller version of the wind and brass sections usually found in older Hollywood film scores, he avoids the normal violins, violas and cellos. Instead he opts for a string section comprised of balalaikas, cimbaloms, zithers, mandolin, and acoustic guitar. 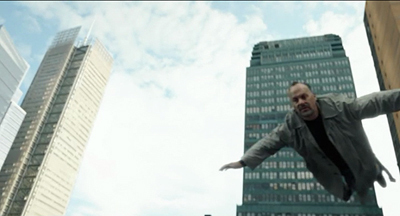 This choice is intended to reflect the vaguely Mitteleuropean setting of the film. Just as the story is loosely inspired by the writings of Austrian novelist Stefan Zweig, the music reflects the social and geographical milieu of Zweig and his characters during the 1920s and 1930s. Eastern European and Russian folk melodies inspired much of Desplat’s. This combination of instrumentation and idiom creates a harmonic and timbral palette that proves to be enormously flexible in the composer’s hands, enabling him to add classical, modern, and jazz touches wherever they are needed. Although Desplat employs unusual orchestration in The Grand Budapest Hotel, his score is fairly traditional in other ways. There are leitmotifs for several of the main characters, such as M. Gustave, Zero, Madame D., and Ludwig. An eight-measure theme is also linked to situations of adventure or danger. 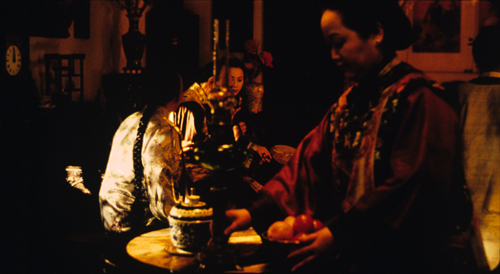 These themes and motifs tighten up the film’s structure. Such cues for patterning are particularly important when one considers The Grand Budapest Hotel’s “Chinese box” or “Russian doll” narrative construction, which nests stories inside stories. 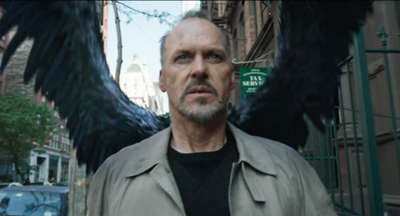 Desplat’s score also captures the film’s dark yet whimsical tone. In interviews, the composer acknowledges that Bernard Herrmann and Carl Stalling were important influences on his work. At first blush, Herrmann, who composed several iconic scores for Alfred Hitchcock, and Stalling, who wrote crazy, almost manic music for Disney and Warner Bros. cartoons, would seem to occupy opposite corners of the universe. It’s to Desplat’s credit, though, that he is able to blend these diverse influences in a manner that is perfectly attuned to Wes Anderson’s imaginary “snow-globe” world. Indeed, the cue for the scene where Gustave is hanging from a cliff features harmony that would not be out place in Herrmann’s score for North by Northwest, an obvious inspiration. But the mood is much lighter and airier in Anderson’s cliffhanger, partly because of the tenor established by Desplat’s music. Ironically, Desplat’s chief competition may come from himself. 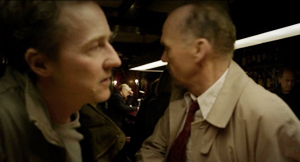 Besides The Grand Budapest Hotel, Desplat also received a nomination for the fact-based espionage thriller, The Imitation Game. It was the fourth time in the last fifteen years that a single composer received two Oscar nominations for Best Original Score. 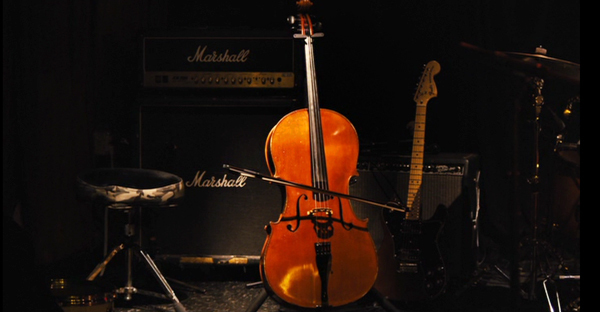 And like the other nominees discussed here, Desplat developed an unusual compositional technique for the film, allowing for an element of randomness to determine his score’s final musical shape. 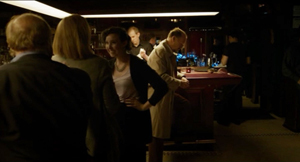 Whereas Sanchez deviated from compositional norms by improvising beats for Birdman, Desplat’s score for The Imitation Game pushes the envelope by featuring three computerized pianos, which sometimes play random patterns of preprogrammed music. According to the composer, the pianos’ fast, complex combinations not only underscore the urgency of the Bletchley Park team’s search for a solution to the Nazis’ Enigma code, but they also function as an musical correlative of cryptanalyst Alan Turing’s thought processes. As director Morton Tyldum put it, he wanted the music to seem subjective, as though it was conveying the mental operations inside the head of an awkward, but brilliant mathematician. Desplat’s use of rapid scales and arpeggios to represent Turing’s genius actually recalls Philip Glass’ score for Errol Morris’s documentary about Cambridge physicist Stephen Hawking, A Brief History of Time. To be fair, Glass’ compositional style has employed these kinds of musical textures in many other types of cinematic contexts. Glass’s work not only appears in other Morris films, but also in biopics about Japanese writer Yukio Mishima and the Dalai Lama, and even in horror films and dramas, such as Candyman and The Hours. Given the constancy of his compositional proclivities, it is perhaps easy to make too much of Glass’s ability to depict the depth and brilliance of Hawking’s intellect. Yet there is little question that Glass’s music adds both a sense of mystery and majesty to Morris’s imagery, which itself explores such imponderables as the nature of time and the origins of the universe. Because of this precedent, it is perhaps doubly striking that composer Johann Johannson took such a different tack in his music for the Hawking biopic, The Theory of Everything. With long sustained string lines and simple piano melodies, Johannson aims for a soft lyricism that is intended to add both pathos and subdued passion to the film’s depiction of Hawking’s relationship with his wife Jane. 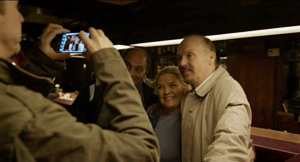 Since the film is based on Jane’s account of their marriage, it is probably not surprising that Johannson’s score plays her point of view even more than it does that of its putative subject. As the composer explains, the “heart of the film is the love story: Stephen and Jane, Jane and Jonathan. That’s really what the music needed to capture.” Thanks to Johannson’s use of harpsichord, celeste, harp, and guitar, the tone colors of the music remain light, making his score for The Theory of Everything a modern counterpart to the work of the Georges Delerue. 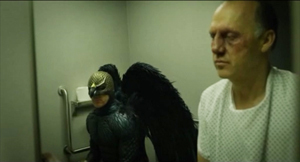 All five nominees are quite worthy of the award for Best Original Score. But, if I had the opportunity vote, I would probably cast it for The Grand Budapest Hotel. Not only is Desplat’s score perfectly attuned to Wes Anderson’s distinctive style, but it would be nice to see the composer recognized for the overall quality of his oeuvre. Desplat’s fans, though, probably split their votes between The Grand Budapest Hotel and The Imitation Game, thereby increasing the chances that he’ll once again go home empty-handed. In underlining The Theory of Everything’s romance plotline, Johansson’s score is perhaps the most traditional among the five nominees. I don’t believe, though, that its adherence to longstanding film score conventions will hurt it on Oscar night. Johansson’s sweet lyricism already carried the day at the Golden Globes, an award that has correctly predicted the eventual Oscar winner four out of the last five years. Although there could be an upset in this category, I expect we’ll see Johannson triumphantly hoist the little gold man over his head come Sunday night. If recent award ceremonies are any indication, this is a category that has fallen a bit on hard times. At least this year, there are five legitimate nominees. Last year one of the nominees was disqualified, and in 2012 and 2011, the category fielded only two and four nominees respectively. This year’s nominees also lack anything resembling last year’s heavyweight battle between Frozen’s “Let It Go” and Despicable Me 2’s “Happy.” All of the nominees seem quite worthy. None of them, though, has created the kind of cultural ubiquity enjoyed by Idina Menzel’s and Pharrell Williams’s chart-topping singles. The third nominee is “Lost Stars” from Begin Again, director John Carney’s belated follow-up to his earlier indie sleeper, Once. “Lost Stars” was written by two members of the nineties band the New Radicals: Gregg Alexander and Danielle Brisebois. The latter has come a long way since her days as a seventies child star appearing in Broadway’s Annie and television’s All in the Family. Starting in the 1990s, Brisebois remade herself as a successful songwriter and producer, penning tracks for Donna Summer, Natasha Bedingfield, Kelly Clarkson, and a host of other top female performers. “Lost Stars” is heard several times in Begin Again. 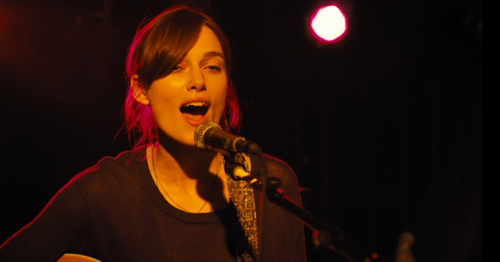 The first time Gretta (Keira Knightley) performs it in a spare singer-songwriter arrangement featuring acoustic guitar, piano, and strings. It underscores a flashback of Gretta’s arrival in New York with her skeezy rock-star boyfriend Dave (Maroon 5’s Adam Levine). Later, we hear it as a track on Dave’s CD. Here he gives it an up-tempo stadium-pop sheen. Near the film’s end Dave again performs “Lost Stars,” this time as an arena-rock power ballad. It is unusual to hear an Oscar-nominated song played in such wildly different styles, and even more unusual for one of those versions to be served up in a manner intended to seem excessive and distasteful. Tellingly, the end credits list Dave’s rendering of the song on CD as “Lost Stars (Overproduced Version).” The contrast between them, though, provides important character motivation for the film’s resolution. Dave’s indifference to Gretta’s creative vision of the song shows that he is ill suited to be her romantic partner. 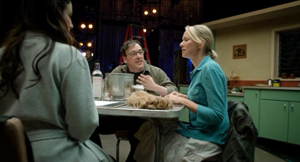 It also reveals producer Dan as a much more kindred spirit for Gretta’s professional ambitions. She gets to keep her coffeehouse, folkie purity even as her coffers are filled by the filthy lucre earned from sales of the soulless version featured on Dave’s major-label CD. Interestingly, on Oscar night, Adam Levine will sing “Lost Stars” as part of the broadcast. If the producers wanted to stay true to the spirit of “Begin Again,” they might have opted for Keira Knightley to perform the song. Yet the fact that Levine was the first performer announced suggests that his star power was simply too much of a draw. Despite the film’s critical view of Dave’s talent, sales of Levine’s version of the song appear to have outpaced Knightley’s. Begin Again may be cynical about the music’s industry’s overinvestment in mainstream tastes, but Levine’s “overproduced” version of “Lost Stars” has done a great deal to give the film much-needed media exposure. The fourth nominee, The LEGO Movie’s “Everything is Awesome!! !”, arguably displays an even more mind-bending degree of complexity in its relation to the popular music marketplace. The song appears quite early on in the film introducing us to a “utopian” animated world where citizens happily play their part in serving Lord Business. As my colleague Jeremy Morris pointed out in a campus symposium on song “hooks,” “Everything is Awesome!! !” is a tongue-in-cheek anthem to teamwork, conformity, and the dominant ideologies regarding labor and consumerism. Think of it as Adorno and Horkheimer for the toddler set, or better yet, as part of the Frankfurt Pre-School. As an element of internal critique within The LEGO Movie, “Everything is Awesome!! !” is pretty effective. In a particularly naked example of Marx’s “false consciousness,” we see the characters’ submission to corporate control even as we recognize that all is not awesome in Lego Land. If only the song weren’t so damned catchy. Like the film, the song appears to be crafted to appeal to both the kids who make up its target demographic and the parents stuck in the theater with them. The melody is deliberately simple with a pitch range and structure that any three year-old could sing. However, the song’s “four on the floor” rhythms and electro-flavored instrumentation also make it palatable to adults as well. The end result is an earworm that insinuated itself into my brain for days at a time. Much of the song’s success derives from its ability to play it both ways. On the one hand, as a theme song for The LEGO Movie, “Everything is Awesome!! !” gently satirizes the unholy marriage between business and government that structures the Lego universe. On the other hand, though, the song appears in what is essentially a feature-length commercial for toys. Moreover, it is so hooky and memorable that it also helps promote The LEGO Movie in various ancillary markets. Still, if that sounds even more cynical than Begin Again’s depiction of corporate sellout, I can’t think of another song that would better fit what The LEGO Movie tries to accomplish. The final nominee is “Glory” by John Legend and Common. The song is featured in Selma, Ava DuVernay’s biopic about Martin Luther King Jr. A soulful, gospel-inflected ballad, the song was written as a tribute to the members of the Civil Rights movement who worked tirelessly in their fight for equality, especially their efforts to help passage of the 1965 Voting Rights Act. It appears during an epilogue underscoring a montage that mixes fictional scenes with photographs and archival footage of the real-life Selma marches. The sequence also relates the fates of the various historical actors depicted in the film, reminding us of the sacrifices they made. With its soaring chorus and rapped verses, “Glory” is decidedly contemporary fare. Yet it remains a worthy successor to the rhythm-and-blues classics heard in the film, such as Otis Redding’s “Ole Man Trouble” and The Impressions’s “Keep on Pushin’”. Like the other four nominees, “Glory” displays the kind of multi-functionality that is the hallmark of great movie songs. Its style reminds viewers of the important role played by black churches in the early years of the Civil Rights movement. The song’s uplifting tone also provides a satisfying emotional climax to the film, providing a sense of triumph over the physical and political challenges faced by the film’s characters. Lastly, Common’s lyrical reference to the protests of Ferguson also reminds us that the struggles for civil rights continue. The historical parallels between current events and protests portrayed in Selma have earned considerable commentary by pundits and journalists. And one doesn’t need to hear the song or even see the movie to understand the reasons why the phrase “Black lives matter” resonates across these different generations. Yet Legend and Common’s song makes perhaps the film’s most concrete and explicit connection between past and present. By linking the literal and metaphorical dimensions of Selma’s historical allegory, “Glory” achieves an associative richness that very few recent movie songs can match. Entertainment Weekly characterizes this as a two-horse race. The magazine suggests that “Everything is Awesome!! !” and “Glory” each give voters a chance to right a perceived wrong, honoring a film snubbed in some of the other categories. As I indicated earlier, I find the pop panache of “Everything is Awesome!! !” undeniable. More important perhaps, the filmmakers adroitly weave the song into particular scenes in The LEGO Movie. Still, I don’t think that will be enough for “Everything is Awesome!! !” to take home the top prize. In underscoring Selma’s import and its timeliness, “Glory” does something that none of the other nominees does. By drawing together African-American musical styles, both past and present, “Glory” is imbued with a political and historical resonance that strives for higher ground. For that reason, I expect John Legend and Common will add Oscar to the other accolades they have received. First, many thanks to Jeremy Morris, my colleague in the University of Wisconsin’s Communication Arts Department, whose thoughts on The LEGO Movie have unquestionably shaped my own. A shout-out also to Jon Burlingame, whose coverage of film music topics in Variety is second to none. Burlingame has surveyed the best Original Score nominees, and the Best Original Song nominees. On Desplat, see Burlingame’s article “Alexandre Desplat’s Twin Takes on WWII: ‘The Imitation Game’ and ‘Unbroken.” Additionally, Matt Zoller Seitz’s companion volume to The Grand Budapest Hotel contains an interview with Desplat and an analysis of the score that reproduces excerpts from certain cues. More on Seitz’s book can be found in this promo film. The Grand Budapest Hotel’s entire soundtrack is on YouTube. Earlier entries on The Grand Budapest Hotel on this site are here and here. For those interested in the development of Interstellar’s score, there’s a short video on J. Bryan Lowder’s blog containing interviews with both Christopher Nolan and Hans Zimmer. Lowder offers a thorough overview of Zimmer’s score here. John Legend offers comments on his song for Selma. We are happy to have a guest entry from our long-time friend and colleague, Leslie Midkiff DeBauche, who recently retired from teaching film at the University of Wisconsin–Stevens Point. Back in the 1990s, when David and I were helping edit a series called “Wisconsin Studies in Film” (University of Wisconsin Press), Leslie contributed Reel Patriotism: The Movies and World War I. Now she is involved in a fascinating project on the same period, the 1910s. There is much focus these days on reception studies, which focuses on trying to gauge the reactions of audiences to movies. Reconstructing mental events is a difficult, near impossible task. Yet Leslie has found a way to glimpse the ways in which American girls and young ladies of decades ago consumed and thought about movies: by studying the scrapbooks they left behind. Here’s a sample of what she has discovered. Kate Key received a scrapbook bound in red leather and entitled My Commencement as a gift from her oldest sister Ruth when she graduated from Lampasas High School, class of 1917. She was eighteen, born and raised in this central Texas farming and ranching community of about 2,100. As far as I can tell, there were no dedicated film theatres in town. Instead, movies alternated with concerts, vaudeville and plays on the bill at the Witcher Opera House. So, I was surprised to read in her class prophecy (a humorous forecast of what the students would be doing in a fictive future) that Elsie Moses and Leta Townsen would return for their class’s reunion in 1928 as movie stars and graciously show their films at the Grand Opera House. This caused me to wonder whether girls who lived in other parts of the United States also made jokes out of the movies? 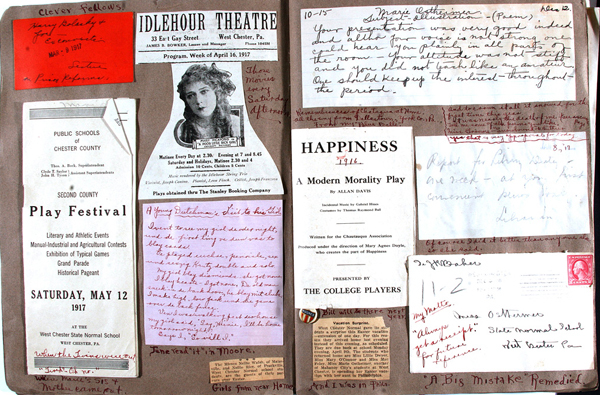 Might scrapbooks offer film historians like me, interested in the ways that films fit into the lives of everyday people, a new sort of evidence of exhibition and reception in the 1910s and 1920s? When girls mentioned movies in their scrapbooks, or pasted in ticket stubs and theater programs, did they whisper “open sesame” to a quotidian film culture? Was that culture different from and more pervasive than that practiced by fangirls (and boys) who avidly consumed Photoplay and wrote mash notes to their favorite actors? I began to search out scrapbooks, specifically high school and college memory books. Before I survey what I have learned from American girls about themselves and about movie-going, let me tell you a bit about scrapbooks. They have a long history in the United States. Samuel L. Clemons, Mark Twain himself, was an avid scrapbook-maker, and he patented a model featuring self-adhesive pages in 1873. By 1880, how-to books like E.W. Gurley’s Scrapbooks and How to Make Them, Containing Full Instructions for Making a Complete and Systematic Set of Useful Books, guided novices with instructions for what to include and even recipes for the glue to stick objects in place. Arranged by topic and indexed for efficient access, early scrapbooks consolidated recipes for food or household concoctions. They served as encyclopedias and also provided entertainment. Poetry and fiction were appropriate inclusions harking back to the days of commonplace books. The scrapbook became a means for autobiography and a method of keeping family history. 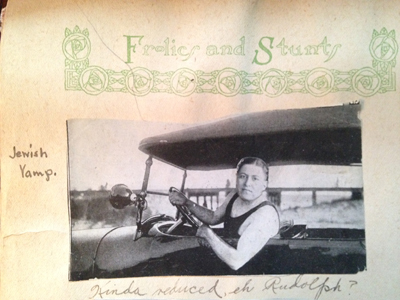 Gurley promoted making scrapbooks both an individual and a collective endeavor. Neighborhoods might organize a scrap-book club, and families could draw on the help of relatives to fill the gaps in their chronicles by bringing their books to reunions. 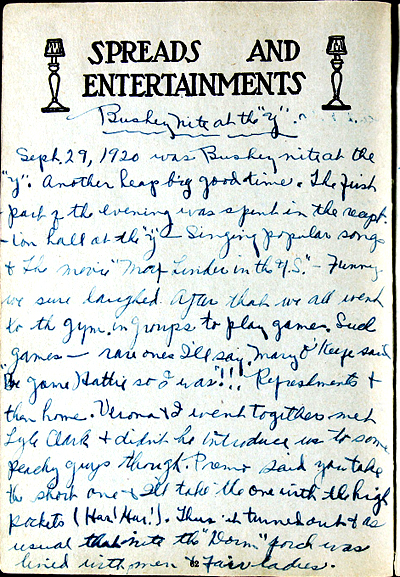 For example, in 1906, Marion Renfrew, a school girl in Boston, invited her friend Eva Alberta Mooar to a party celebrating the “debut” of the “offspring of her labor and patience Memory Book.” Eva saved that letter in her own scrapbook, and the Arthur and Elizabeth Schlesinger Library on the History of Women in America at Radcliffe preserved Mooar’s book in its archive. Girls were a devoted audience for advice about creating scrapbooks, and the activity became, increasingly, a gendered one. By 1905, scrapbooks were a commodity, mass produced, sold at stationery shops, and complemented by auxiliary businesses which supported them. 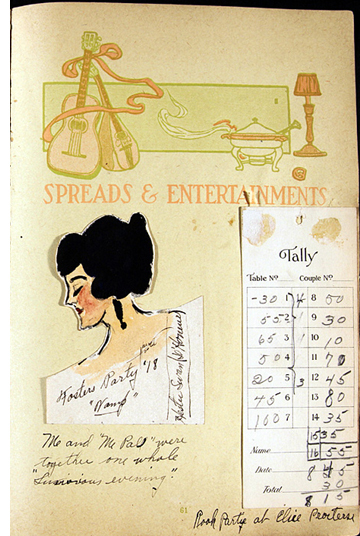 Companies manufactured specialty paper corners, some with elaborate designs for sticking photographs to the scrapbook page. 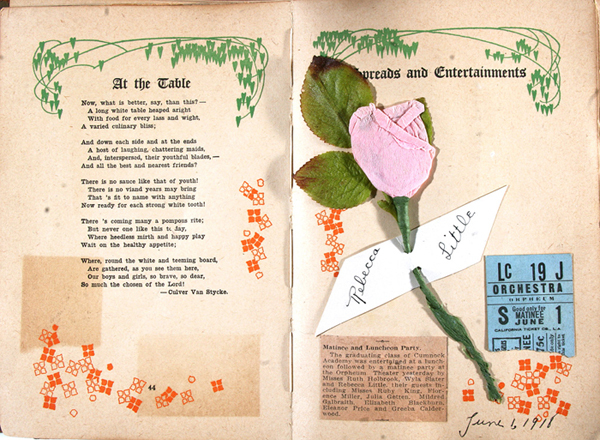 One genre of scrapbook was the memory book designed mostly for girls and young women and given to them as presents on special occasions like graduation from high school or college. The Reilly & Britton Company offered eight different titles of school memory books for sale by 1917. The price of these gift books depended on their binding; “Fancy cloth, decorated with gold and two colors,” cost two dollars (about $40 today), but a leather cover with a velvety finish called ooze, added an extra dollar and twenty-five cents. A blank page might have invited girls to fill in stuff of their choosing, but flowery Art Nouveau borders pushed the design toward a notion of conventional, appropriate girlhood. The filled spaces also conjured the metaphor that school was a garden, carefully tended, its flowers growing in tidy uniform beds. 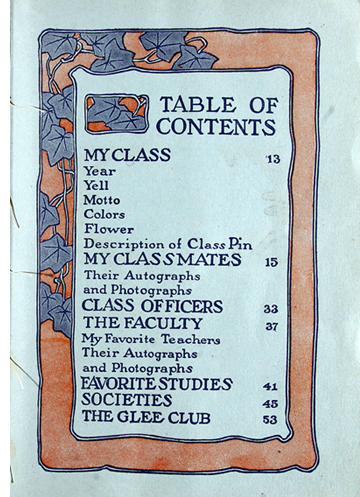 Memory books featured standard tables of contents that suggested what girls should preserve and how their mementos ought to be arranged. However helpfully intended, these headings also functioned to delimit what high school included and to prompt girls to tell a cheery, triumphal story in which “favorite” teachers, “best friends,” all sorts of parties, athletic endeavors, and the rituals of graduation would lead ineluctably to the happy reunion foretold by the class prophecy. Still, what I have come to relish about girls who made scrapbooks is that they did not necessarily abide by the dictates of their books’ blueprints. They surely recognized the ideological requisites of girlhood structured onto memory book pages, but they may not have entirely subscribed to them. Often and idiosyncratically, girls changed and adapted their books. Elizabeth Walker travelled more than one hundred miles from Mineola, Texas to attend the College of Industrial Arts at Denton in 1918. She seemed to embrace the process of compiling My Memory Book. Hers was larger than most: 15” wide, 11” tall, and 2 ¼” thick. It appears that she received it when she matriculated and she filled in the pages as she progressed through her four years of teacher-training. After Elizabeth graduated in 1922, she became a teacher in El Paso. She continued to slide letters, documents including the Code of Ethics for Texas teachers and newspaper clippings, inside the back cover of her book during the 1930s. The most recent insertion was dated 15 July 1969. It was snipped from the school’s (now Texas Women’s University) alumnae bulletin and brought her up-to-date on members of the class of ’22. Still, at the beginning, the freshman Elizabeth had composed a bantering dialogue with her memory book’s table of contents. She treated it as a slightly irritating senior who was trying to tell her how to act. For instance, halfway down the list of things she was supposed to save were pressed flowers and leaves. “Don’t believe in ‘em,” retorted Betty. Alice Ebeling graduated in 1919 from South Bend High School in Indiana. 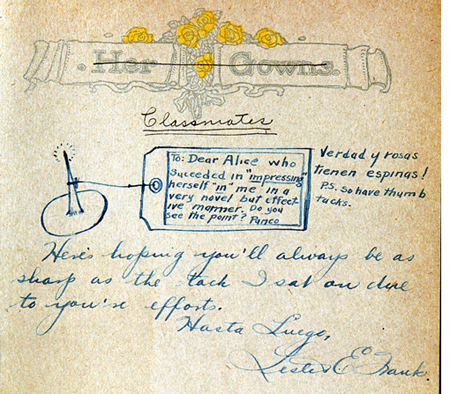 She drew a line through the heading “Her Gowns,” replaced it with “Classmates,” and used the pages for autographs from her friends including Lester Frank (left). Apparently, he was on the receiving end of a prank she played in Spanish class. As well as manifesting a playful irreverence, the ways that girls altered memory books testified to a belief in their own agency. Scrapbooks were not private or secret like diaries. Girls took them to school where they solicited classmates’ autographs and good wishes; they showed them to friends who visited their homes. Although I expect many girls started to compile their memory books by following the order set out in tables of contents, when that rubric didn’t accommodate their stuff or their lives, they deliberately, messily, and with the knowledge that their actions would be seen, took matters into their own hands. They also began to make changes in the history of their lives at school almost as soon as they pasted their stuff in place. Memory books, like memory itself, were changeable, dynamic. Since none of the books I have examined contain designated pages for films, how did American girls fit movie scraps into their memory books? When I consider my collection of artifacts, two broad patterns hold. 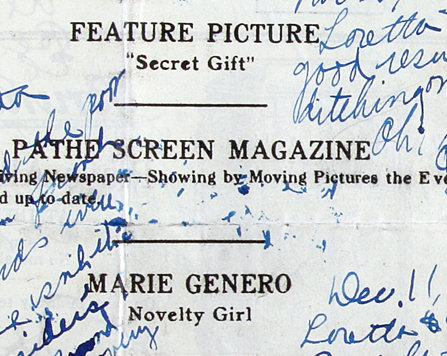 Scrapbooks show that movie-going was one activity among many that mattered to girls in the 1910s and 1920s. No one expressed this better than did Marie Ostheimer, who graduated from West Chester Normal School in southeastern Pennsylvania in 1917. 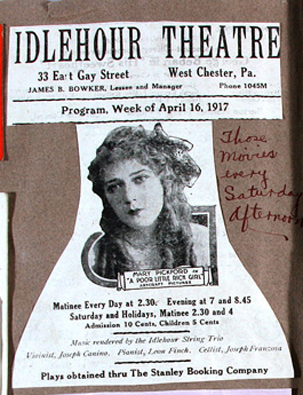 The only mention of film in the thirty-six pages of her Normal Life is the Liberty Bell-shaped newspaper ad for The Poor Little Rich Girl at the Idlehour Theatre which she clipped out (see bottom image). Nevertheless, she captioned it “Those movies every Saturday afternoon.” Her annotated two-page spread surrounds Little Mary with play programs, an excellent evaluation she received for a class presentation, news cuttings about her own and her friends’ trips home, and a receipt that was evidence of some sort of kerfuffle over a doctor’s bill. It is a snapshot of learning, leisure, and life experiences among which going to the picture show was part of the routine of weekend fun. When girls did go to the movies with friends—which always seems to be the case—the screening was only one feature of the afternoon or evening’s or weekend’s entertainment. Case in point: Hattie Selma Stein, Busheys Business Academy, Appleton, WI, 1921-1922. 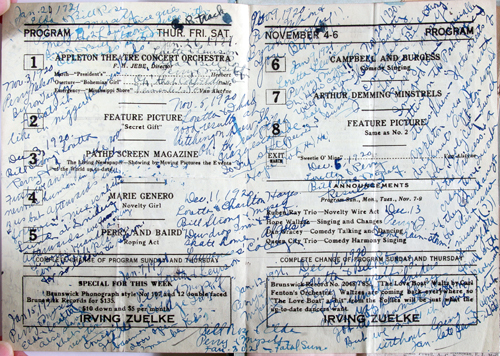 She used a vaudeville program (above, the film Secret Gift is the 2nd turn and the chaser) to record the movies she attended during her year at school. Hattie jotted down the names of her companions, what the weather was like, how they “annoyed” the “nervous humans” seated in front of them, where they had snacks afterwards, and whether she and her boyfriend Perry won the race to the dorm’s porch swing at the end of the evening. She didn’t always name the movie that served as the pretext for the date. Neglecting to note the film’s title wasn’t unusual in the scrapbooks I’ve examined. Instead, what girls saved was their experience of going to the movies. 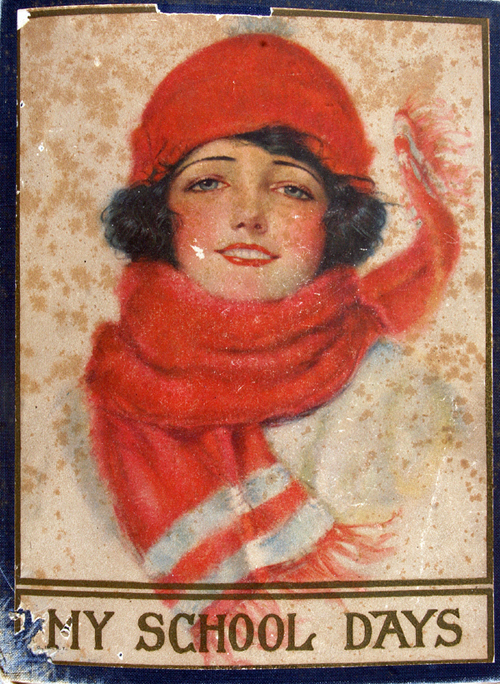 For both Hester Swan from Independence, Missouri, class of 1919, and Janet Seidenman, who graduated from Western High School in Baltimore in 1926, food made an evening with friends and films tasty–an adjective which, at the time, meant not only yummy but also “in conformity with good taste.” Swan and twenty others attended a “line party,” featuring Marguerite Clark starring in Mrs. Wiggs of the Cabbage Patch. “After the show Grape Sherbert and Cake were served. We all had a lovely time and enjoyed the show and refreshments immensely.” In a page of her scrapbook, Seidenman drew an arrow from a caption “Richard Barthlemess [sic] in ‘The Fighting Blade.’ Peanut chews were served and everybody was happy,” to her admission ticket, which she also festooned with an inch-long strip of Kodak film negative. Every so often, though, going to the movies was a special occasion. Girls responded to promotional hype surrounding roadshows. When they saved movie programs, it was invariably from “big” films shown at a theaters which usually presented plays, for instance, the Majestic Theatre in Boston or the Savoy in San Francisco, or motion pictures made on the grand scale by D.W. Griffith. 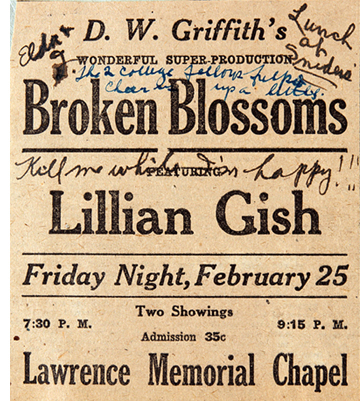 Hattie Stein captioned the ad for Broken Blossoms (right) showing at the Lawrence University Chapel, “Kill Me While I’m Happy.” She also noted that two “college fellows” were on hand to cheer her up and, of course, there was “lunch,” a colloquialism for snacks, at Sniders afterwards. Girls did much so more than purchase tickets, sit in theaters, and watch movies before munching on peanut chews. Memory books show that girls around the United States incorporated the movies into their own playful culture. Certainly this is evidence that by the mid-teens, Americans were widely and deeply aware of information about movie stars, narrative conventions, movie-making itself, and the nuts and bolts of film exhibition. 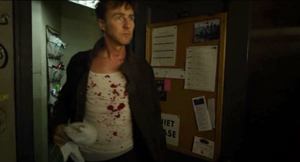 I think it’s also akin to the ways girls exercised control over their scrapbooks. When they used movies to make jokes, girls inflected the tone of the film industry’s advertising and narrative messages. They impressed their own proclivities onto increasingly standardized fare. The graduation convention of the class prophecy is a good place to start to see how girls adapted and used the movies for their own purposes. Class prophecies were an American school graduation tradition at least through the 1960s when I completed junior high. They were intended to be light-hearted, funny predictions about the future lives of the members of the class. Prophecies were guided by certain conventions of the form. 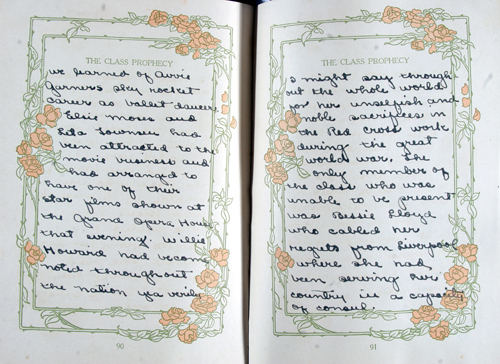 They were often read publicly during graduation festivities, and it was not unusual to find pages designated for the class prophecy in memory books. Sometimes a prediction hinged on the student’s traits, interests, or romantic inclinations; it could hinge on word play about their name. It was important that the audience got the joke, or most of the jokes. In nearly every class prophecy I encountered written from 1917 onward, at least one student was proclaimed to be destined for a job in the film industry. The most elaborate example lodged in Bertha Glennon’s memory book. Glennon graduated in 1918 from high school in Stevens Point, WI, the small city where I live. In fact, she was the author of her class’s prophecy and it was also her honor to read it aloud at Class Day a few days before the more formal graduation exercises. (She wore a dress of old-rose colored voile for the occasion.) The rhetorical device she created to frame her story was personal, timely, and more than a little macabre. The United States had entered World War I in April of Bertha’s junior year, and she had done her bit by helping to supervise in the Red Cross Room at school where students rolled bandages. In the class prophecy, Glennon imagined herself as a nurse taking a break from her duties in a hospital on the western front. She sat on a hill and watched bombs explode in the distance. In each burst of smoke, Bertha saw a vision of the future. Boom! As the dusty haze resolved into an image, she identified classmates Ovid Meyer and Ada Kuhl in the midst of shooting a scene for a movie melodrama. Bertha Glennon described mise-en-scene, cinematography, and editing in sharp detail. Glennon also wrote a diary that documented what she did every day during 1918, so, I know that in the five months leading up to her graduation she went to the movies fifteen times. Once she went on her birthday, another time because she didn’t have a date to the prom. She also recorded once when she went with her mother to visit a sick uncle. At his house she found a movie magazine which she read to pass the time while the grown-ups chatted. Bertha Glennon may have been a little better informed than most of my scrapbook girls, but she was not movie-mad. As you might guess, in real-life 1910s and 1920s America, relatively few girls made the transit from the high school auditorium to the movie studio, not even Rebecca Little who graduated from the Cumnock Academy in Los Angeles in 1918. (Martha Graham danced at the May Day celebration at her school that year.) Yet among the young women I have met in these books, one did actually become an actress: on the stage in the 1920s, on the radio in the 1930s, in the movies in the 1940s and 1950s, and on television in the 1950s and 1960s. She also wrote a novel, under the pseudonym Xanthippe, which was adapted into a film. Edith Meiser who graduated from the Liggett School in Detroit in 1917 is the exception that proves the rule. She was extraordinary. In fact, the hopes girls had for themselves and the wishes they made for others, were, in the main, conventional: success, happiness, good luck, and marriage. In a cartoon of a schoolgirl dreaming of her future, Sylvia Seidenman (Western High School, Baltimore, 1917) might have chosen the nurse with a hypodermic needle, a mother, a scholar, a ballet dancer, or a teacher with a ruler in her hand. Sylvia drew an arrow pointing at the typist, noting “This for me.” Edna Kallberg (Central High, Minneapolis, 1921) cut out and glued down a fat-cheeked toddler washing dishes (below left). 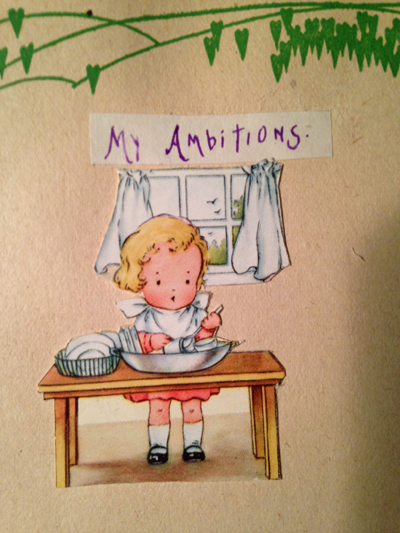 “My Ambitions” was the heading which she affixed like a valance above the illustration. 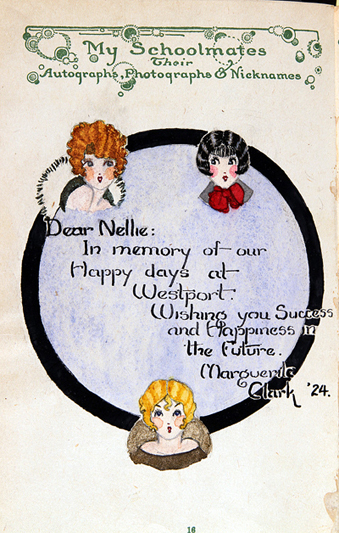 Nellie McKeever, from Westport High School, in Kansas City, Missouri (1924) had more talented friends and teachers than most girls did, but the same sentiments abide in their art and calligraphy (below right). 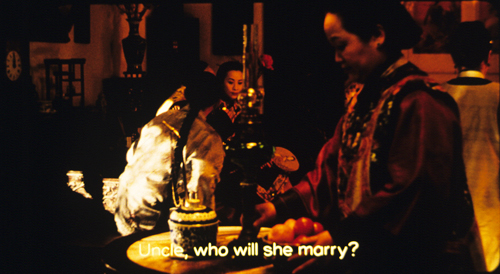 The differences between the humorous fortunes cast for girls in class prophecies and the sincere but commonplace wishes one girl offered to another show that they fully understood a paradox at the heart of the popularity the film industry enjoyed with the American public. The stuff of the movies–its stars and its stories–must be both fanciful and familiar, provocative enough to pique the imagination, but also secure, a safe playground for parody. The industry provided fodder for jokes, whether it meant to or not. I will close this post with one last example of how girls employed the movies for their own amusement, to their own ends. The society these scrapbook girls lived in valued “correctness” in dress, speech, and behavior. Girls realized there were consequences—in life as well as in fiction–for not minding their Ps and Qs. As my grandmother Kate Key might have said, they knew “straight-up.” But, propriety did not stop girls from making fun of the rules governing them as young women, and movies gave them the ingredients for jokes. Let me introduce Lydia Kahn, “Baby Vampire.” Vampire? The reference is to the character—a woman who destroyed men—made most famous by Theda Bara when she starred in the 1915 film, A Fool There Was. It was based on an 1897 Burne-Jones painting which inspired Kipling’s poem as well as both a play and a novel by Porter Emerson Browne. The movie coined the noun vamp and the verb to vamp. It also sparked jokes among young people all over the United States. Kahn, the daughter of architect Albert Kahn, was memorialized as a vampire in Helen Schloss’s memory book. The girls were part of a remarkable class of upper and upper-middle class young women, including actress Edith Meiser, who graduated from the Liggett School in Detroit in 1917. The in-joke linking Lydia Kahn to Theda Bara was doubly made. First, there was the epithet Schloss scrawled next to her name. 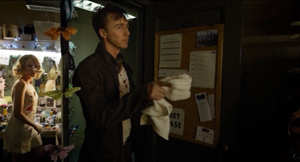 “Baby” in this context means vamp-in-training. Second, I found an allusion to Kahn as Bara in an issue of a little newspaper–more tongue-in-cheek than hard news–that the Liggett girls published their senior year. In a column headed “Heard at Grinnell’s” (a music store in downtown Detroit), one joke referenced a song, “’I’ve Lost Him so Why Should I Cry?’ which paraphrased the actual, “I’ve Lost You So Why Should I Care.” The titular question was attributed to “Kahnie,” which was Lydia’s nickname. 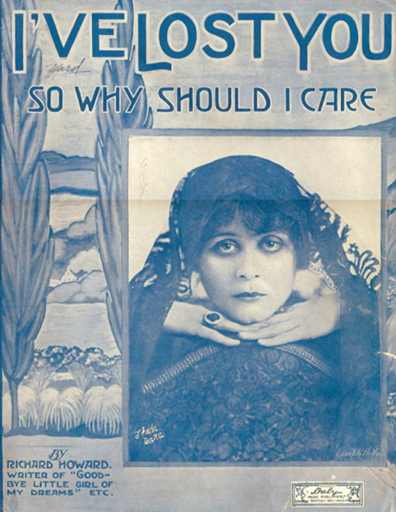 The sheet music portrayed Theda Bara—dressed, I think, for her role in Carmen (1915). Was Kahn a flirt? Had she broken up with some boy? Or, he with her? Was the question in the title ironic? Maybe Lydia Kahn was the opposite of a vamp but she bore a physical resemblance to Bara; perhaps Lydia Kahn did a great imitation of Theda Bara. We’ll never know exactly why this joke worked so well that Helen Schloss transposed it from the Cap and Gown to her School Friendship Book, but my scrapbook collection can provide a context for interpretation. It turns out that Theda Bara’s vamp is the most common reference to the movies in memory books. The prophecy for the Sophie B. Wright high school of 1919 foretold how Corinne Campau’s good friend Louisiana Clayton would depose Theda Bara as queen of the vamps after she graduated. This joke may have begun at the fashion show the seniors had hosted for the school’s junior class. Under snapshots of Lou dressed as the “Futurist,” and Aline Richter as “Hobble-Skirt Girl,” Corinne renamed them: “The school Thedas—Some Vamps” (above right). Everything about Lou screamed vamp: her outré costume, the slouchy, hand-on-hip pose, her dark-colored lips. 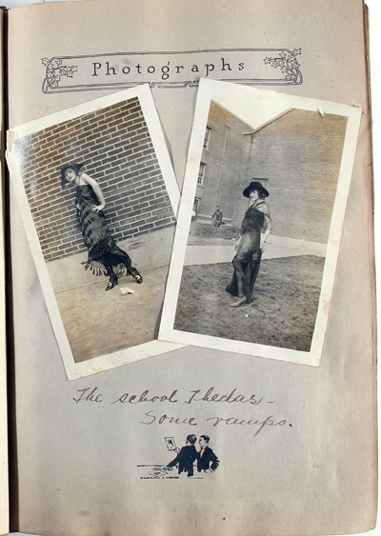 There was another photo on the following page of Corinne’s memory book: here the school Theda is surrounded by classmates costumed as men–some kneeling, others leaning in–as Lou, blasé, looks off the right. Even boys were liable to be called “Theda” or to be teased as vamps. Adele Franz seems to be recounting an embarrassing moment glimpsed in a boat house when she noted that Alfred J. Peterson, “alias Theda” would star in a production of “As the Lord Made Him.” And, Fannie Klapman printed “Jewish Vamp” beside a collage she had made by gluing the cut-out head of one of her male classmates onto the buff torso of a guy wearing a swim suit sitting at the wheel of an auto (below left ). 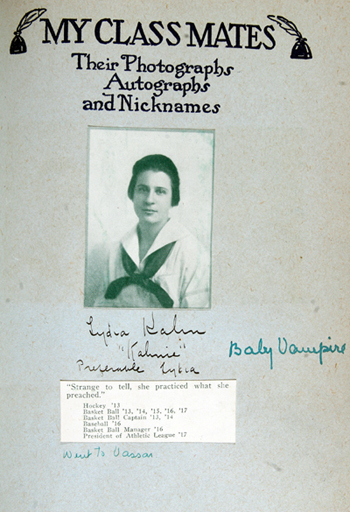 To amplify the incongruity, underneath the picture she wrote, “Kinda reduced, eh Rudolph?” This might also be early evidence of Valentino’s star persona. No one in Fannie’s class was named Rudolph. 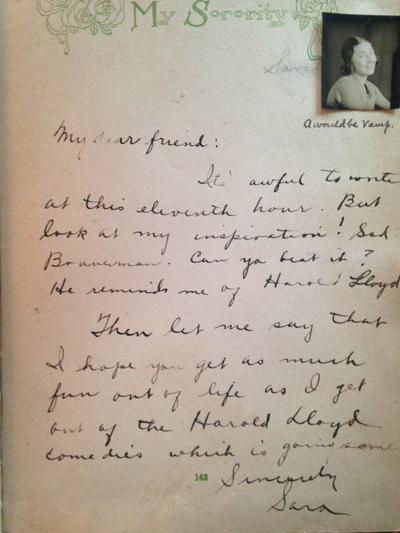 Klapman also commented upon other autographs friends wrote in her memory book. Next to a picture of Sara, who made an analogy between her own good wishes for the graduate and her love of Harold Lloyd, Fannie, somewhat cattily, I think, adds the annotation, “A would be vamp” (below right). Hattie Stein and her girlfriends in Appleton, Wisconsin wore out the verb, vamping their way throughout their school year in 1920-1921. What ought we to make of so many Thedas and so much vamping? I’m not entirely sure. If this is an example of an early 20th century meme, then Theda Bara and the vampire she portrayed function to throw conventional femininity and social mores into high relief. Bara was unambiguously evil in A Fool There Was. Girls (and boys) recognized this and camped her up even more. Girls could play dress-up and pretend to be bad—the better they were at the game, the clearer it was that they knew the rules of correctness. When I look at the references to Bara and vamping chronologically (and I surely wish I had more examples from 1915 and 1916), I detect a change. In the earliest mentions, there are connotations of physically sexuality (as with poor, perhaps naked, Alfred Peterson) and an imperious woman (hear the disdainful tone of “I Lost Him So Why Should I Cry” and imagine the smug look on Lou Clayton’s face as she ignores her admirers). By the early 1920s though, it seems to me that all menace has drained from verb and it simply means to flirt. While there is more to tell about American girls, their memory books, and the movies, I must stop here. 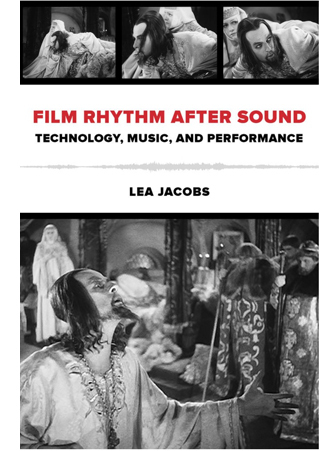 For readers who have watched and thought about American silent film or have studied its history, I hope that my research has added to your store. If you are interested in women’s history, I trust the scraps which illustrate this piece have reinforced what you know and have piqued your curiosity. I have grown inordinately fond of many of these girls and fascinated by their doings. My search for memory books continues; they are a rich resource for historians. They are exuberant, charming, funny, sometimes poignant and sad. They bear witness to how girls lived their everyday lives, what possibilities they were able to imagine for themselves, and the ways that movies fit into both these spheres. I would like to thank David and Kristin for inviting me to share my work with you. It is a huge honor. I would also like to thank Doug Moore for shooting most of my photographs, and Sally Key DeBauche for casting her professional archivist’s eye on my scrapbooks and helping me to think about them as a collection.